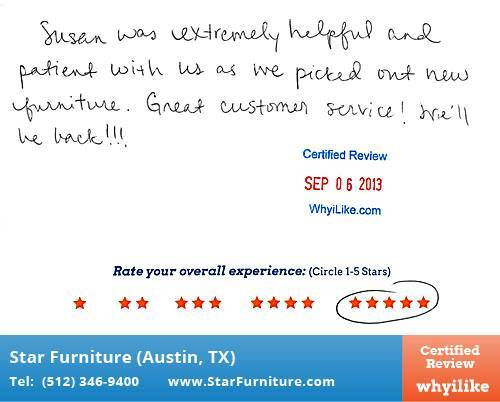 Susan was extremely helpful and patient with us as we priced out new furniture. Great customer service! We'll be back!! !